As promised last month, the Tackle Tip on knots has been promoted to a permanent page so it will always be here as a refernce - hope it helps..
Perhaps the most important knot you will tie when fishing, either fly or bait, is the "Improved Cinch Knot", - usually used to secure the hook to the line. This is the Cinch Knot, one of the best for tying on a fly or hook to your leader. Look carefully at the illustration above. You will see that once the knot has passed through the eye of the hook it is twisted around itself at least 4 times depending on the size of hook. You then pass the line back through the "v" shaped gap at the hook, then once more back through the loop this forms. Gently pull the knot tight, and don't forget to moisten the line slightly. This reduces heating by friction, which can weaken the line. 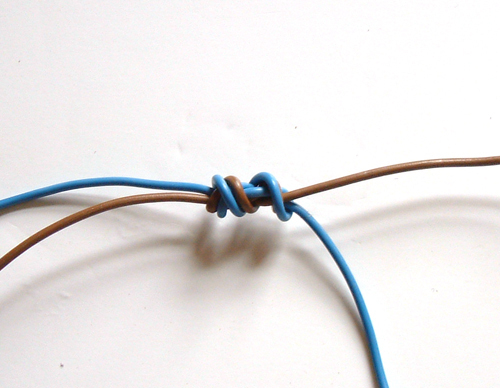 Use this knot when tying on hooks, flies, lures or swivel links. 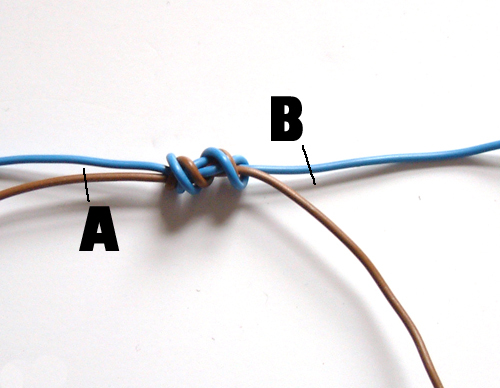 The second knot you might need is the "Water" or "Surgeon's Knot". There are two main uses for this knot, one is to join separate pieces of nylon or fluorocarbon together, the other is to add a dropper to a leader. 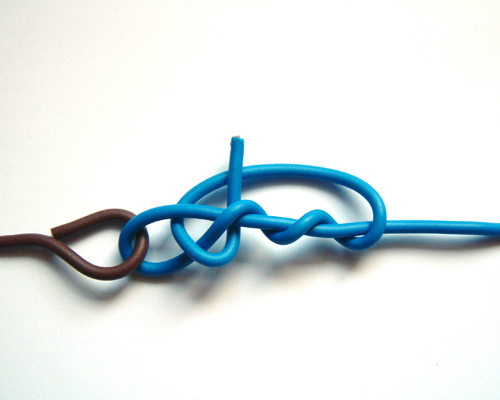 In both cases the knot is the same, but the finishing is slightly different. To begin, set the two of line parallel with each other. If you are adding a section to your leader, this overlap should be about 5 cm, if you areadding a drooper, you will be working somewhere along the length of the leader itself. 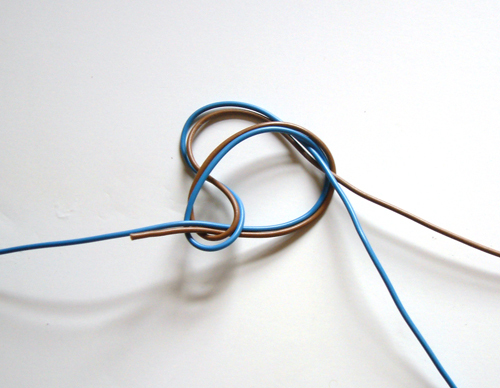 In the diagram, the brown wire repersents the piece we are adding, so make sureyou allow enough line to form the dropper, in our example, to the right of where we are going to build the knot. Moisten both strands of line before you begin. This helps the strands stick to each other and makes them easier to handle. Twist the strands into a backward loop. This should happen naturally as you move the strands. Notice the strands to the left are on top of those running to the right. Make another loop to the right of the first, and pass it back through the first loop. You need to do this three times and you can either draw all the line through each time forming a new loop on each pass, or just pass the loop through three times. 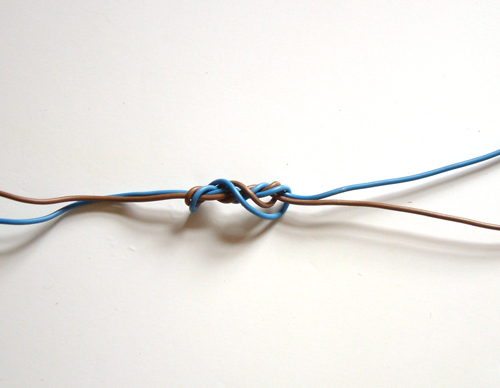 If you choose this latter method, beware of tangles and of losing your way. Gently pull the four strands in opposite directions. The loop should collapse into a sort of figure of eight. You might like to moisten the knot again at this point. 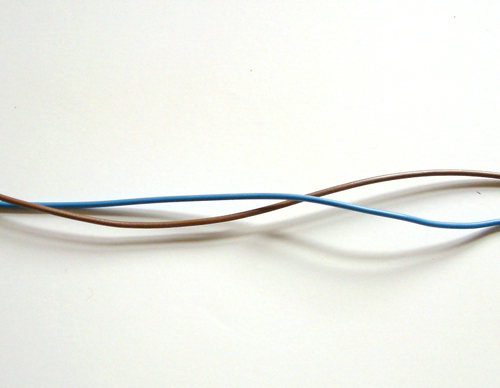 When it is compltely tightened, the knot should form a neat bundle with two "tag" ends, the brown one on the right will either be waste,(if you are just extending the line) or it will form the finished dropper. Once the knot is drawn up tight, you will need to trim the excess line. If you have been joining two pieces of line, you will trim at both A and B, if you have been tying on a dropper, then trim A only. 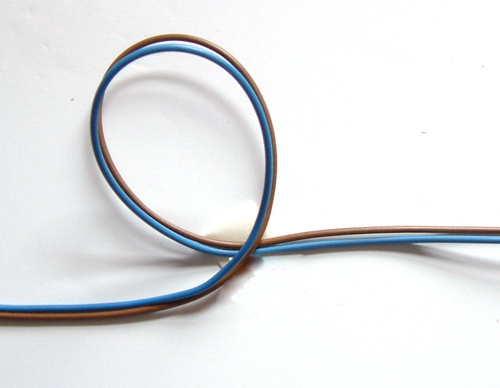 Remeber, in this case, the blue wire represents the main leader, and the brown the attached dropper.